During these four days Berlin’s public spaces get transformed into a place for self representation and cultural identities. 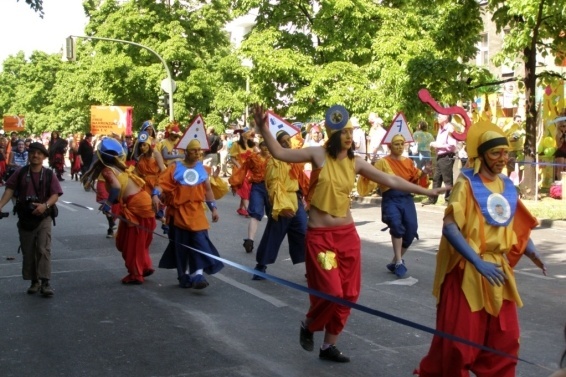 Every year in early summer, music and dance groups, professionals and amateurs, children and adults take part in the celebration through Kreuzberg. Many stages will be present where bands and artists are going to perform different styles of music, from reggae to classical. During this event, all the different communities create a space characterized by plurality, heterogeneity and hybrid regimes with a grand finale which will be the street parade on Pentecost Sunday in Kreuzberg, where all the artists perform and about a million people from all over the world assist. During these four days of performances and parades there will be also many culinary delicacies and all sorts of items from all over the world, from many types of different foods to eccentric accessories, clothing and hand-made crafts displayed by almost 400 stands. The Karneval der Kulturen came to be as a reaction against the nationalism and racism that grew in the 90’s in Germany. 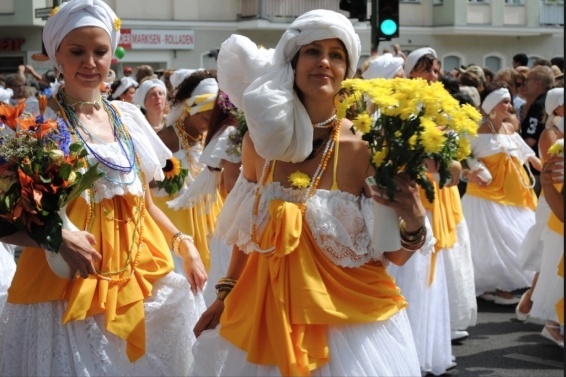 The aim of the carnival was to celebrate the city’s diversity, as well as to make minorities more visible. It was a clear manifestation for the construction of a city based on inclusion. The organizers of the festival proclaim, in fact, that the Carnival of Cultures is open to everybody and all forms of cultural expression. It is regarded as a platform for a proud expression of hybrid cultural identities, containing traditional and contemporary elements which include and attract everybody.